A 32-year-old who had experienced gender dysphoria since childhood decided to seek assistance with her medical transition from male to female. The individual had identified as a female for more than two years. Working with a therapist, she reached out to community-based non-profit agencies that provided care for transitioning adults. Many organizations offered an informed consent process but did not consistently provide ongoing medical counselling. The patient was uncomfortable with those options. Additionally, she was concerned about a blood clot experienced at age 19 that required medical attention. Her therapist referred her to the Adult Gender Medicine Clinic in the Duke Division of Endocrinology. 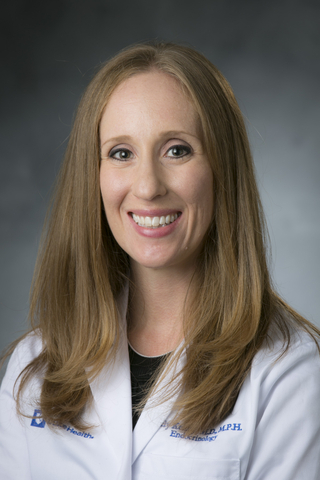 The division has offered gender medicine care for many years, but a dedicated clinic was founded in January 2018, which is directed by Carly Kelley, MD, MPH, and Adva Eisenberg, MD. Q: What course of action was taken by the physicians at the Gender Medicine Clinic? A: When the patient presented in fall 2018, Eisenberg developed a complete medical assessment and confirmed that the patient was working regularly with mental health and primary care. Because of the prior blood clot, Eisenberg ordered a Hematology consult before beginning a collaborative discussion about hormone therapy. Before beginning that therapy, Eisenberg informed the patient about changes that occur with feminizing hormone therapy, options regarding fertility, and recommended a continuing relationship with a mental health professional. The patient, a North Carolina native, had been frustrated by the reactions of others as she sought counselling. Kelley says the clinic emphasizes a safe, gender-affirming environment in contrast to the experience reported by many transgender individuals living in the South. Transgender patients often encounter barriers in accessing basic services and being treated with respect and dignity in medical settings, according to a 2018 study by an organization working to improve rights for transgender individuals. Following Eisenberg’s detailed overview of the risks and benefits of feminizing therapy, a decision was made to proceed with hormone therapy with estrogen and an androgen blocker based on the current standards of care from the World Professional Association for Transgender Health. After a hematology assessment, the previous blood clot was determined to have been a provoked event. However, Eisenberg still recommended transdermal estrogen due to data supporting a lower risk of thromboembolic events with this route of administration. Kelley says the Gender Medicine Clinic collaborates with other specialties including Urology, OB-GYN, Reproductive Endocrinology, Plastic Surgery, and Speech Therapy as it evolves into a multidisciplinary operation. The clinic has continued to grow steadily since its creation. But the physicians continue to improve outreach. “We believe we are still missing a lot of patients who need help,” says Eisenberg.